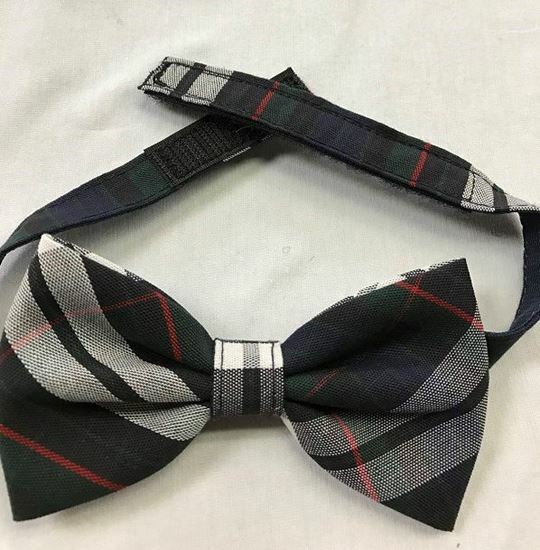 Boy's Pre-tied Bow Tie with Velcro closure on neckstrap. Approximately 5" wide. Available in plaids or solids. For traditional neckstrap, please see item FBE41B.